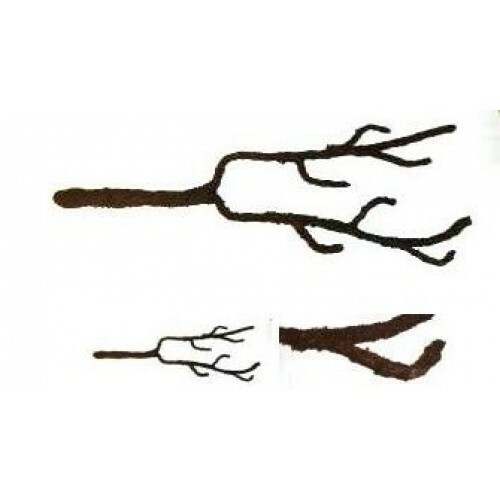 T-Rex's Aqua Root large (24" long and bendable) is a durable, waterproof artificial vine that perfectly mimics a small natural tree root! Ideal for humid vivariums, aquariums, and paludariums. Aqua Root is completely resistant to rot and perfectly safe to use underwater or in excessively damp or humid conditions. Provide climbing structure, mounting surface for live terrarium or aquarium plants, and amazingly natural visual appeal with T-Rex's Aqua Root! This Product is an easy addition to any tank that need an extra something for aesthetics. It is an easy install with no modification of any sort to a user’s existing environment. Can be taken out for cleaning or removed for replacement.